I’m so happy to have finished this project. This is one of those kits I bought on an impulse just because I liked the colors and the hearts and the lace and the black checkerboard design and the… well, you get the idea. 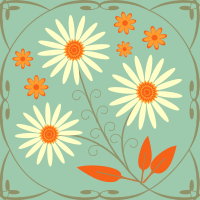 You’ll have to take my word for it that I’m not much of a “hearts and flowers” gal, but something about this design’s simplicity and “folkiness” spoke to me. After all, there’s no explaining love. Unfortunately, the kit sat in a bin in my “office” for several years waiting to see the light of day. And then, one day, I needed a simple project to get back into the swing of cross stitch and there it was. After I started stitching, of course, it was completed in no time flat. By the way, please pardon the hoop marks! If memory serves, this is the third Shepherd’s Bush needleroll I’ve completed. The other two were Christmas themed and were given as gifts. I can’t decide what to do with this one. I don’t feel like making it into a needleroll because I’m afraid it will just sit around collecting dust, but I can’t think of what else to do with it except perhaps get it framed. 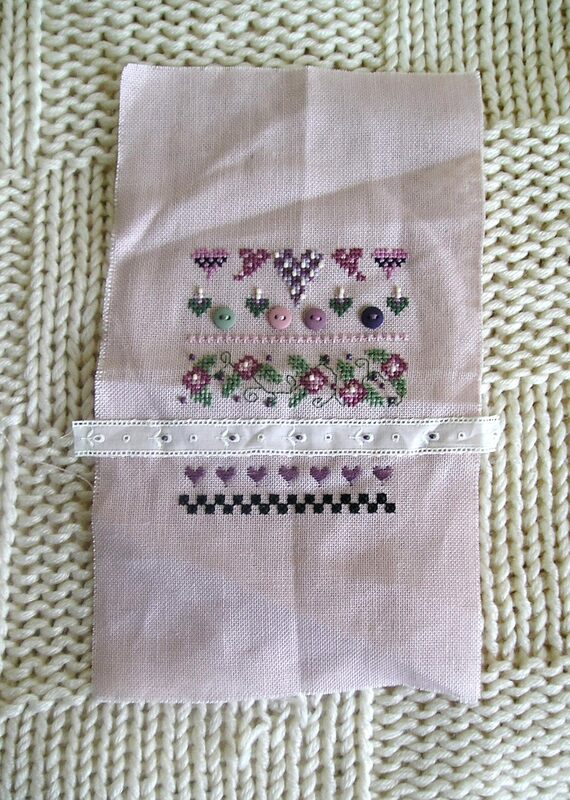 With some minor modifications, it would make a lovely birth sampler for a little girl. Any finishing ideas, gentle readers?